Aurora Luxury Hotel & Spa is an independent vacational, four-star property, located in the island of Santorini, in Greece, and the perfect place to host one’s dreams of the perfect holiday in the Cyclades. This luxury property offers twenty-one suites that blend the traditional architecture with modern touches and a range of luxurious amenities. The hotels had been using YieldPlanet’s Channel Manager, Book Online Now Booking Engine and Oracle Suite 8 PMS since 2016. Managing such a unique property as Aurora Luxury Hotel & Spa comes with particular challenges and requirements. This is why, one year later, when YieldPlanet released the interface with Oracle, the hotel management decided to take full advantage of the interface between YieldPlanet and Opera. The main expectation to automate the process of retrieving reservations, pricing and inventory updates. Aurora Luxury Hotel & SPA would become the first hotel to use the interface. “I had implemented many interfaces between Oracle Cloud and Channel Manager systems, so my biggest concern was how familiar the other system would be with this interface”, says Αkis Moutselos, Technical Director at Eurotel / Aurora Luxury Suites. All original concerns were immediately addressed. “We have received the support we needed throughout the process. The person responsible for the integration process on YieldPlanet’s side was very helpful”. The key challenge at the beginning of the cooperation was to agree on how mapping should be done. “Once the conditions have been determined, the process went smoothly. It took a few days to complete the implementation and the property started using the PMS-Channel manager interface”, Akis Moutselos adds. Theodoros Katsimbras, SVP-Global Business Development Director at Book Online Now, who works closely with the property has followed the proceedings and confirmed that the connection is working smoothly. 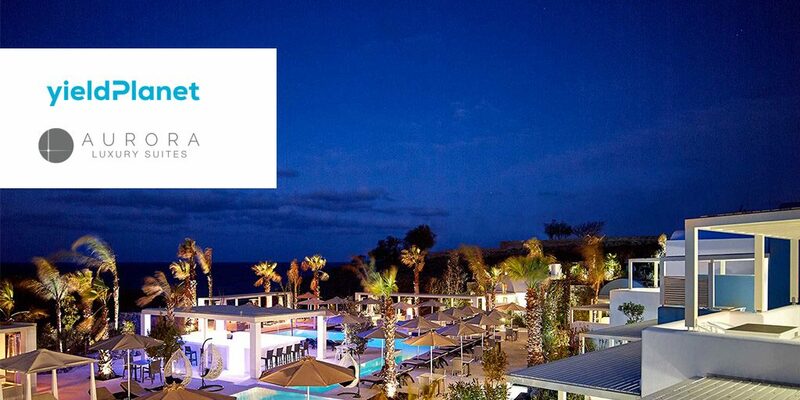 „The integration we made for Aurora Luxury Suites in Santorini was especially important for us, as for YieldPlanet it was the first implementation between Oracle Opera PMS and YieldPlanet’s Channel Manager. We had a very experienced partner on the other side, which helped the full connection process to go fast and smoothly. I would like to thank Mr. Αkis Moutselos for his professionalism and cooperation.” – says Tomasz Fitulski, Head of Implementations at Yieldplanet. “We had high expectations that were met. I rate this cooperation very high”, concludes Akis Moutselos. Are you using the Oracle Suite 8 PMS and looking for a channel manager? Contact us!